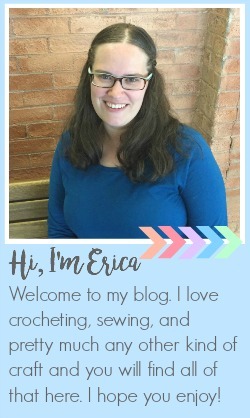 Every month I join some of my blogger friends in a craft challenge. We have a theme based on a specific supply and we each make a project using that supply. 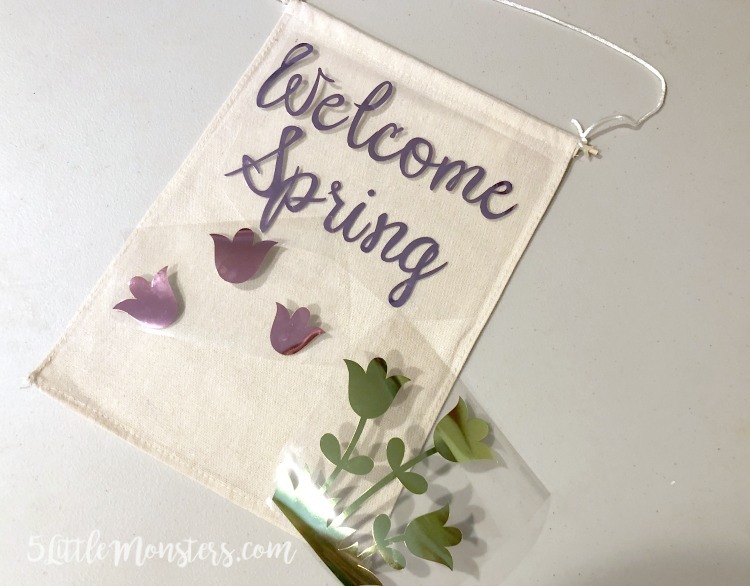 Since March is National Craft Month we decided the theme for this month would be either using up supplies that you have on hand or using a craft kit. 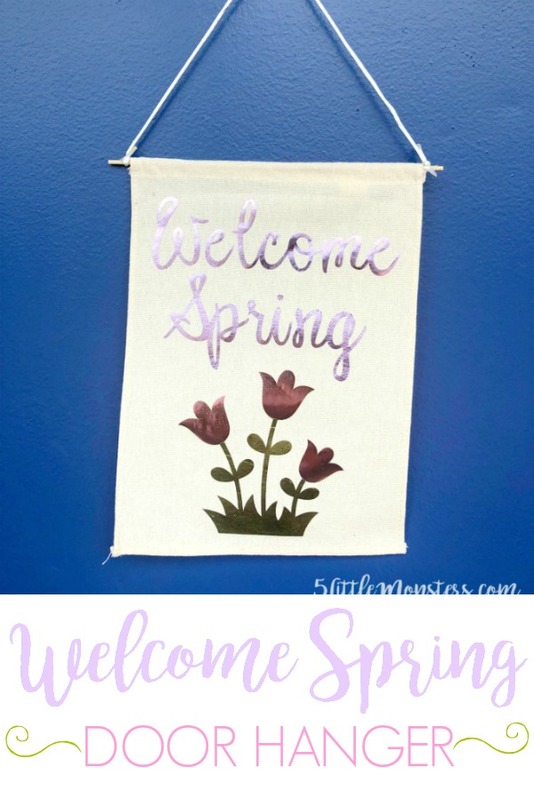 The timing was perfect for me because I have spent this past week moving around my office/craft room and cleaning and organizing all of my craft supplies. As a result I knew exactly what I had that could be used up. 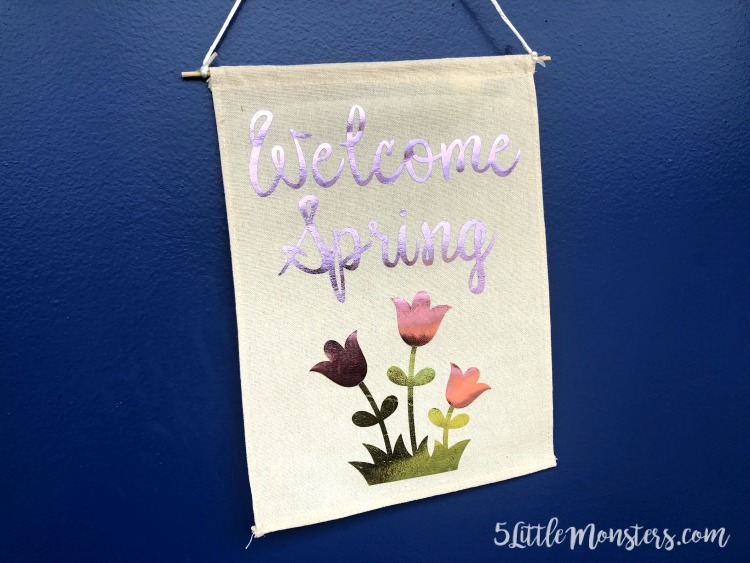 I have a lot of vinyl and iron on left over from over from Cricut projects I have done. A lot of projects only use a little corner off of a roll and I have most of the roll left after the project is done. I also had some canvas banners left over from a project that I did for Oriental Trading. The package had a dozen banners and I have used a few for different projects (this one for Thanksgiving, one for Christmas, and another one for winter) but still had several left. 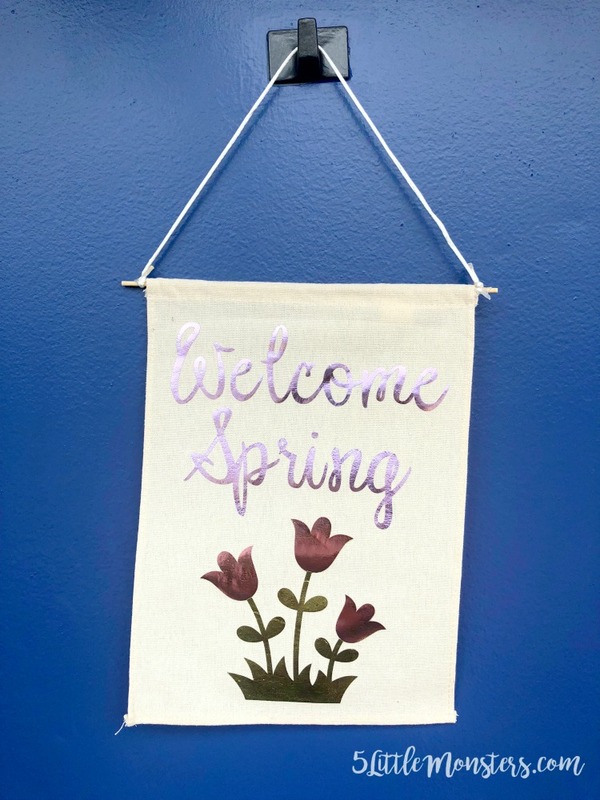 I grabbed one of the banners, a couple scraps of foil iron on and made myself a little spring banner that I could hang on my door. 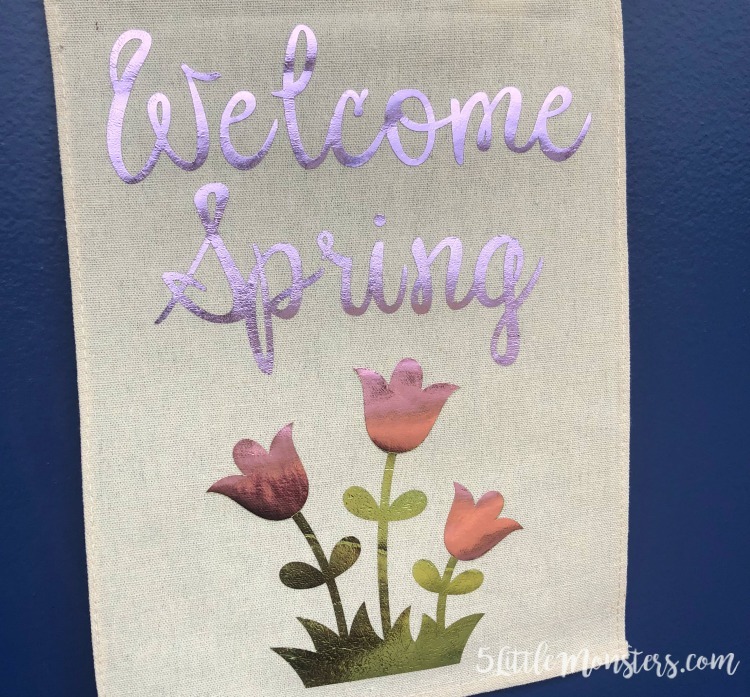 I decided to use foil iron on mostly because I was using up stuff that I had on hand and that was what I had in the colors I wanted. Technically you shouldn't really layer foil on foil but the only regular iron on that I had in green was darker than I wanted. I figured since it was just a decor piece and wouldn't really need to be washed or anything so I just went with it. 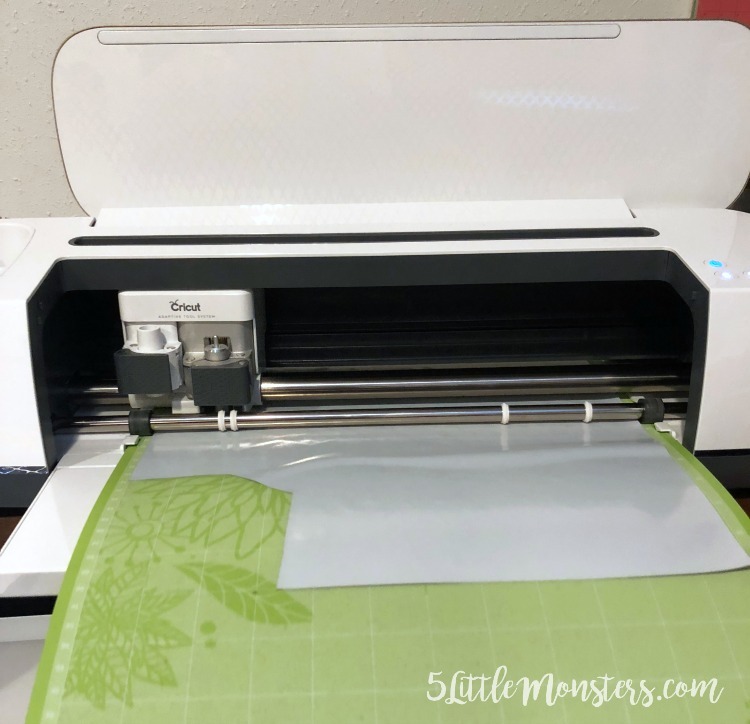 I cut the the vinyl on my Cricut Maker using this Design Space File. I then used my EasyPress to press the pieces onto the banner one at a time.